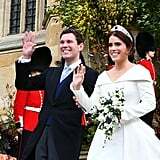 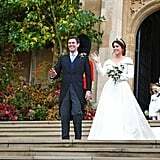 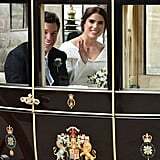 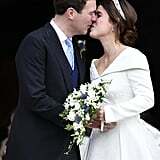 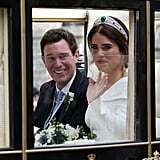 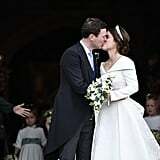 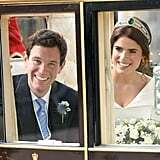 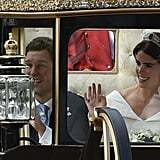 Princess Eugenie and Jack Brooksbank are married! 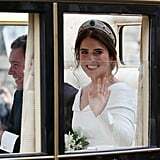 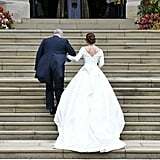 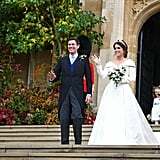 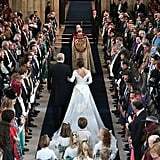 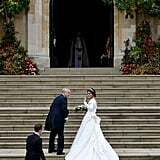 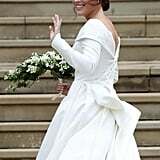 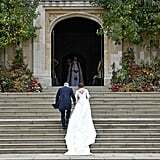 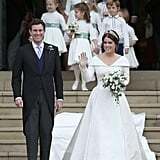 After months of speculation, we finally got to see what Eugenie's wedding gown looked like, as well as who she entrusted with the task of creating the most important outfit of her life — and, well, it certainly didn't disappoint. 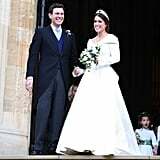 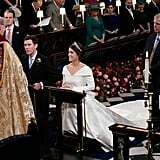 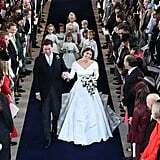 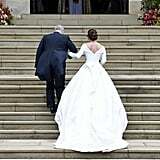 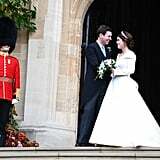 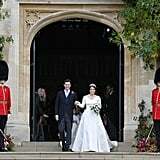 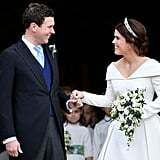 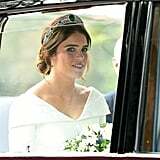 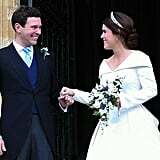 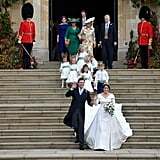 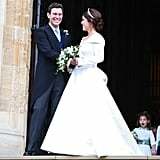 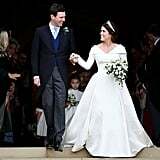 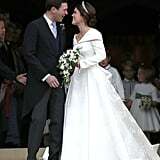 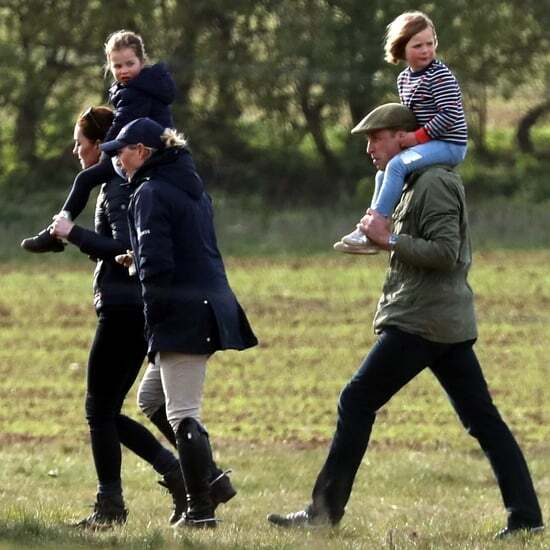 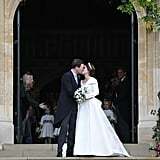 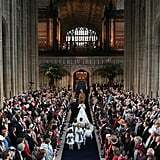 For her big day, the princess wore a regal gown by British designer Peter Pilotto with a pair of Charlotte Olympia heels. 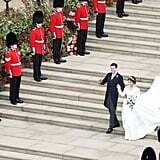 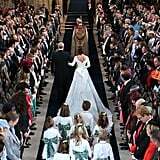 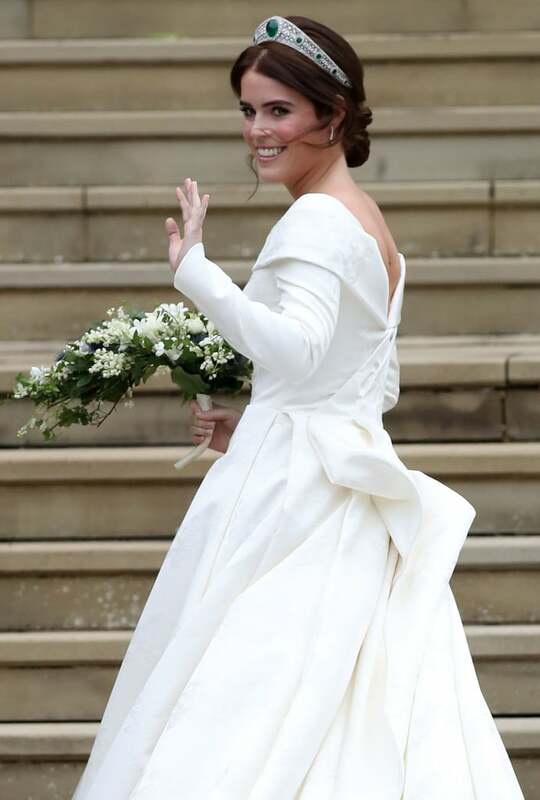 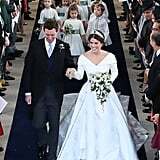 With a modern and feminine silhouette, Eugenie's dress looked exactly like what we had imagined. 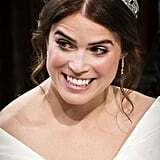 She accessorised it with Greville Emerald Kokoshnik Tiara — which was lent to her by the queen — as well as diamond and emerald drop earrings, but surprised everyone by choosing not to wear a veil. 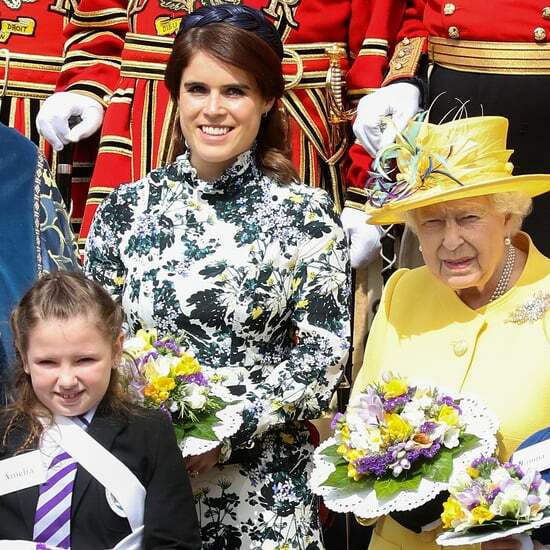 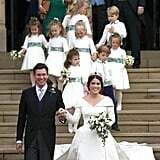 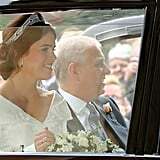 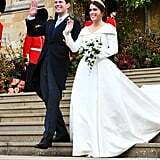 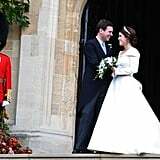 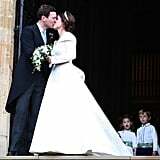 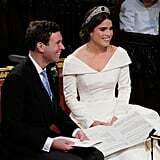 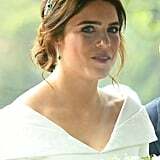 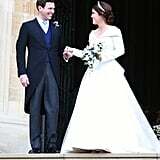 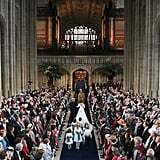 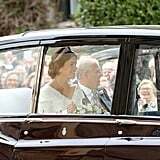 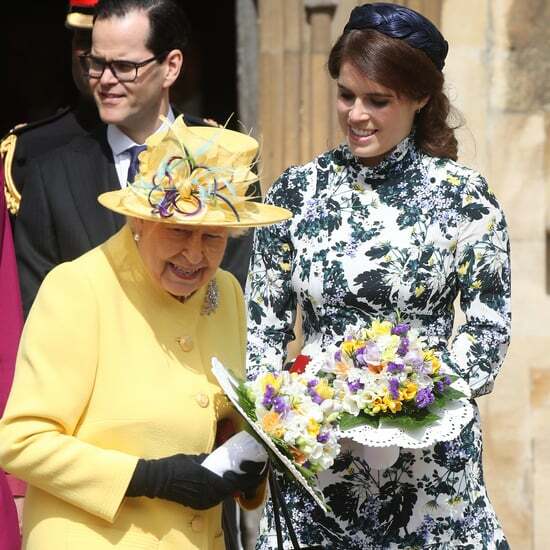 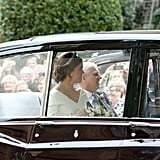 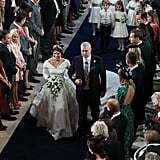 Read on to see Princess Eugenie's dress in more detail.